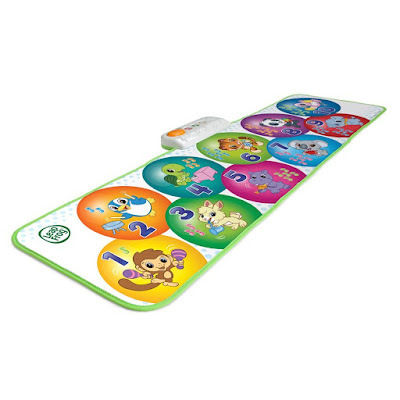 The musical toys help in develop kid's rhythmic skills and other physical senses. 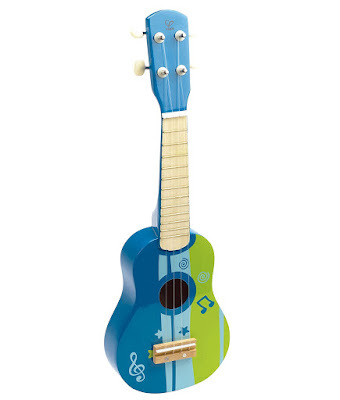 The musical toys encourage individual creativity as well as family bonding. 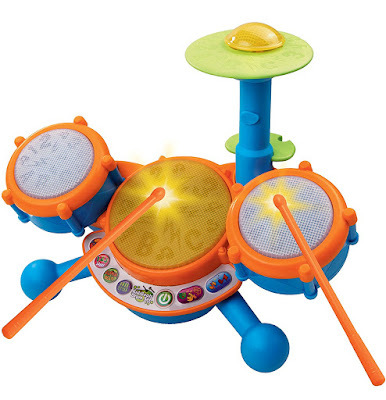 Here we are reviewing the best musical toys for our little musician to introduce as a real-life rock star at an early age. Hape is a well-known and trusted a brand for their innovative, safe and quality material products. The kit includes a drum, xylophone, cymbal, guiro, clapper, and 2 drumsticks. 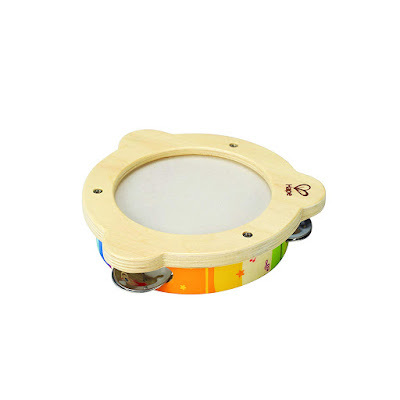 The overlay of the miniband has screen-printed to easily clean and that maintain the vibrant sound of all instruments. 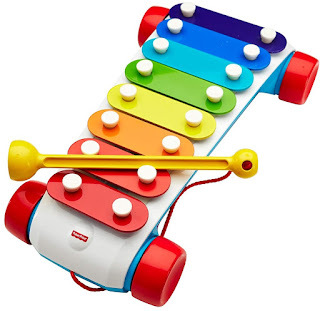 The classic xylophone's 8 colourful keys encourage early music-making creativity and develop child's senses. 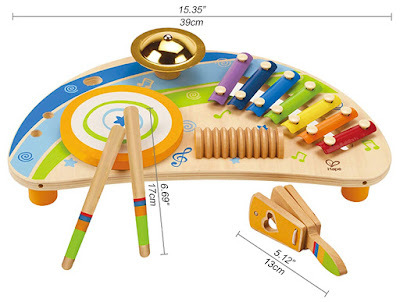 The classic xylophone is a musical pull-toy having a sleek new look. A mallet attached so it never gets lost that the child uses for pulling the toy and also to tap on the 8 colourful keys of xylophone.